Hi, welcome to my website. As an editor I love helping other authors to realise their dreams and write the best books they possibly can. I believe that everyone has a voice worth listening to and all stories have value, but they all need some kind of professional help to polish them until they shine. I also believe that new authors benefit from having someone who has walked the path before them to guide them in their writing journey. It’s helpful to know what pitfalls to avoid and which hills are worth climbing. A good guide can save us a lot of time and effort by stopping us wandering down dead-end paths or helping us out of sticky bogs, and they can inspire us by showing us the potential in our own work. It’s important to have someone that cares about you and your story and who can teach you how to achieve your best. That’s how I see my role with my editing clients, and that ability to teach and guide in a caring way is what makes me different from other editors. I’m passionate about creative expression and have been expressing myself creatively and helping others to do it in one way or another my whole life. 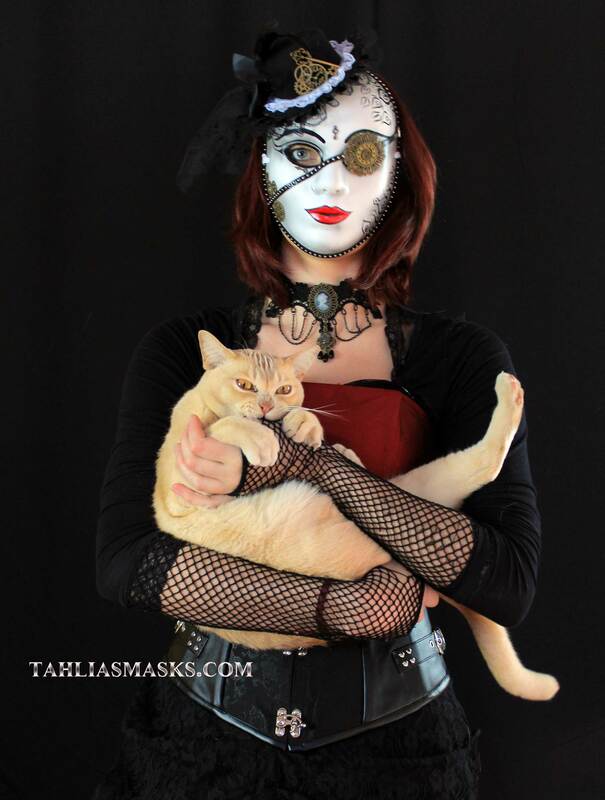 As an author I write real magic – magical realism with the power to transform – plus some non-fiction on writing and meditation, and my hobby is making masks and steampunk accessories and selling them from my Etsy Store. I’m an ex-dancer, visual theatre performer and high school creative-arts teacher. With all this experience, I know well the challenges of self-expression and living a creative life. I never meant to become a writer or an editor, but that’s where inspiration lead me. After starting my journey in writing in 2007, I’ve written 10 books (5 young adult, 2 adult, 2 non-fiction and 1 short stories), and I began full time editing in 2013. Now I spend most of my time helping authors make their books the best they can be. 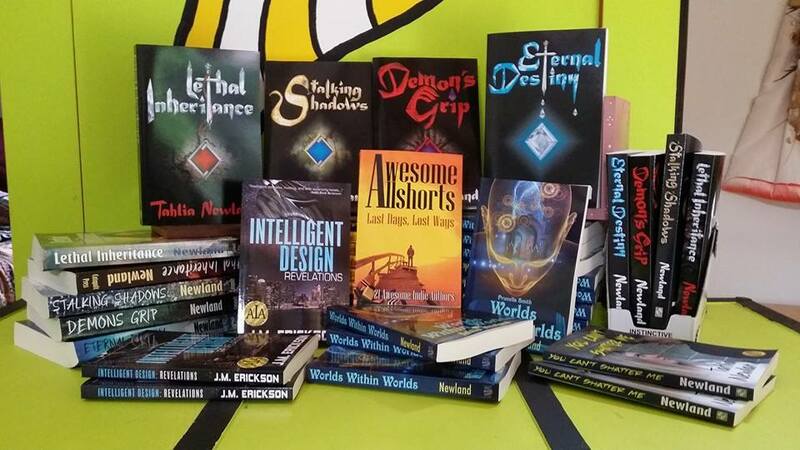 I also help some of my editing clients publish with my selective, author-funded publishing company AIA Publishing . I began my study of how to work with my mind in the early 1980s. I have extensive experience in meditation and Tibetan Buddhist studies and seventeen years experience as a meditation instructor. Occaisonally I vlog about my discoveries on the spiritual path on my Living in Peace & Clarity You Tube Channel. 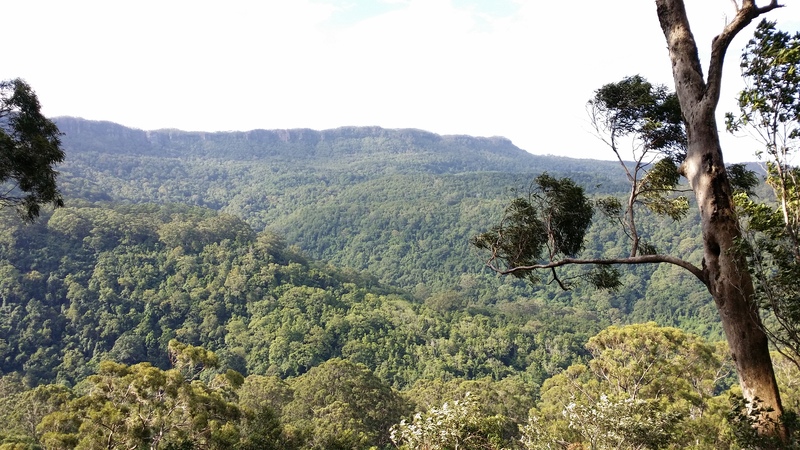 I live in an Australian rainforest south of Sydney with my husband and two Burmese cats. You can see my CV on my Linked in profile. I was born on a New Zealand farm with a book in one hand, artists modelling clay in the other and a mind full of creative ideas and philosophical questions. I trained as a primary school teacher and taught in New Zealand for one year before moving to Australia. Childhood elocution lessons and life in Australia have removed most traces of my Kiwi accent, but when I say dance, it doesn’t rhyme with pants. 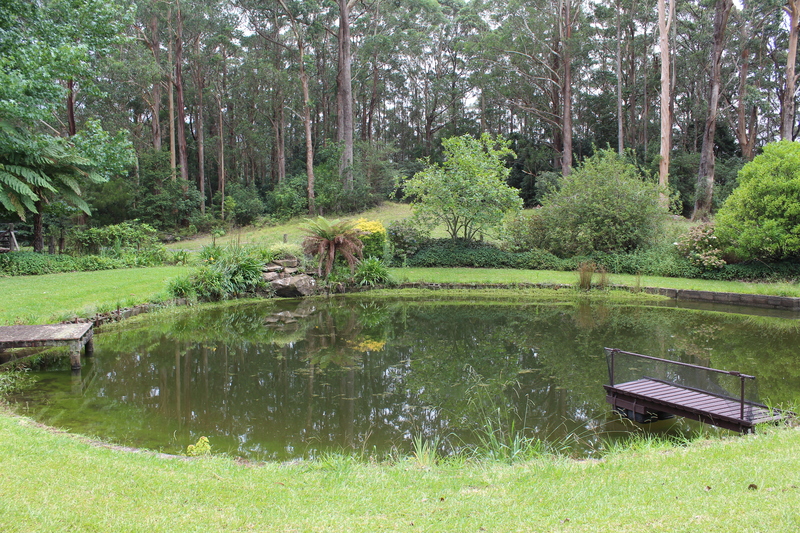 Even so, I now call Australia home, particularly my little patch of rainforest in the Illawarra south of Sydney. My uncontainable creativity, inability to sit still, and forays into modelling, dancing and acting, inspired me to leave my early career as a teacher for the gypsy life of a performer. For twenty years I helped to create Visual Theatre shows—I wrote scripts and made masks and costumes—and performed with Centrepiece Productions all over Australasia as a dancer, mime and clown. When my daughter (now a videographer and graphic designer) went to high school, I gave it up for the more sedentary life of a creative arts teacher in a local high school where I stayed for five years. Early one morning when I should have been asleep, scenes of a girl battling demons while climbing a mountain in search of her mother appeared in my mind like a movie and filled my heart with inspiration. The story demanded to be written with such a passion that I left my teaching job and, while supporting myself with casual teaching jobs, spent the next five years writing The Diamond Peak Series and studying writing and editing. Lethal Inheritance, the first in that series, scored an agent and subsequently the series was published by a US publisher. I also gained a Certificate in Editing and Proofreading. My novels mix fantasy, reality, metaphysics, action and romance into transrealist, genre-bending experiences. I’m fascinated by perception and the nature of creativity, identity and reality itself. I paint with a light touch and aim to inspire readers to work with their mind and deal with their own life issues in a positive way. I’ve written The Diamond Peak Series, a young adult metaphysical fantasy series, two Prunella Smith novels for adults, (Worlds Within Worlds – a metapysical thriller – and The Locksmith’s Secret – women’s fiction) plus a book of urban fantasy and magical realism short stories (A Matter of Perception), and a YA magical realism novel on empowering ways to deal with a bullying (You Can’t Shatter Me) The young adult books and short stories are published by S&H Publishing. Four of my novels have been awarded B.R.A.G Medallions and an Awesome Indies Seal of Excellence for outstanding fiction. I’ve also written a book on writing, The Elements of Active Prose: Writing tips to make Your Prose Shine, and one on meditation, both published by AIA Publishing, my selective, author-funded publishing company. I meditate daily—I spent twelve years in partial home retreat while I studied Buddhism and completed the Tibetan Buddhist Vajrayana preliminaries and further practices—and I try to always live in peace and clarity. I’m a trained meditation instructor and have been instructing students of meditation since 1999, mostly online. I set up and for twelve years was the Teaching Services Director of Rigpa Australia’s Bush Telegraph Distance Education Centre. My contemplative side finds expression in my Living in Peace & Clarity writings and vlogs, and also writing for the What Now? blog about the issues raised by abuse in Buddhist comminities. 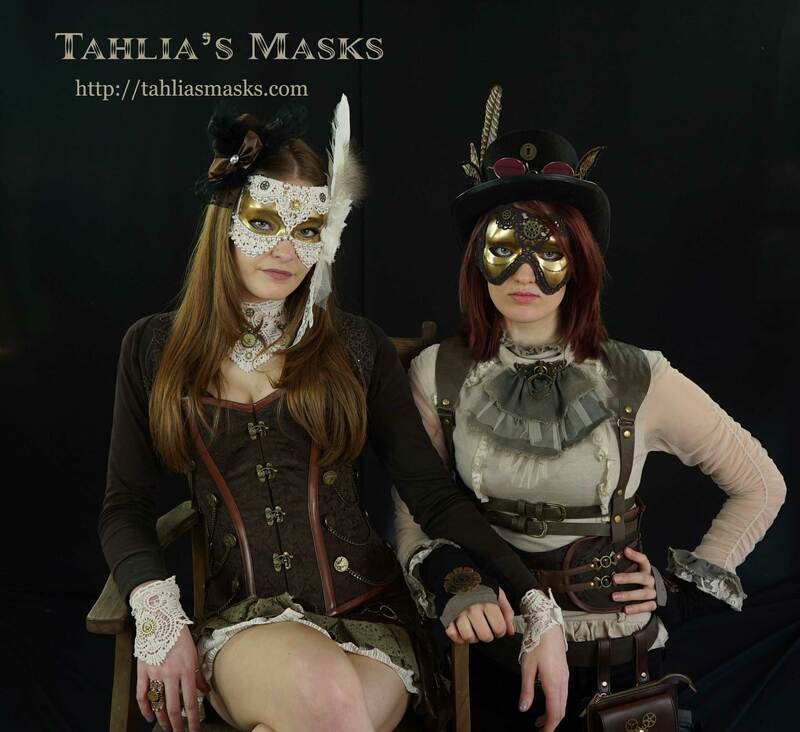 My artistic side finds expression in making masquerade masks and beautiful steampunk hats, necklaces and Gothic Victorian lace collars, which I sell on Etsy and my Tahlia’s Masks website. 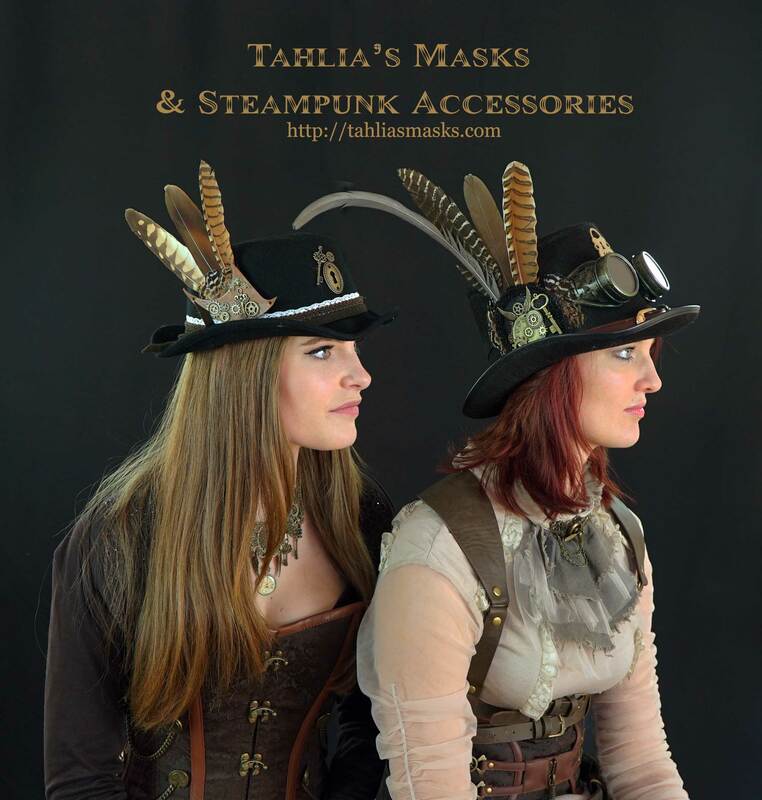 You can also see them on Pinterest, I see them all as expressions of or adornments for our noble self—our true nature—and hope that wearing them helps customers to experience their inherent nobility. 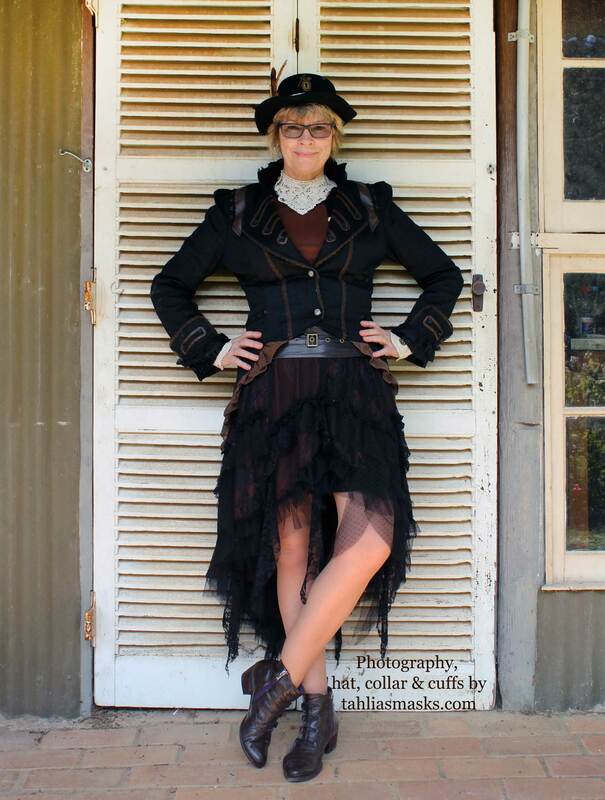 I often wear steampunk or Gothic clothing because beautiful clothes deserve to be worn. … and share it with a lovely husband and a couple of cheeky Burmese cats. This picture is of George, my first Burmese. 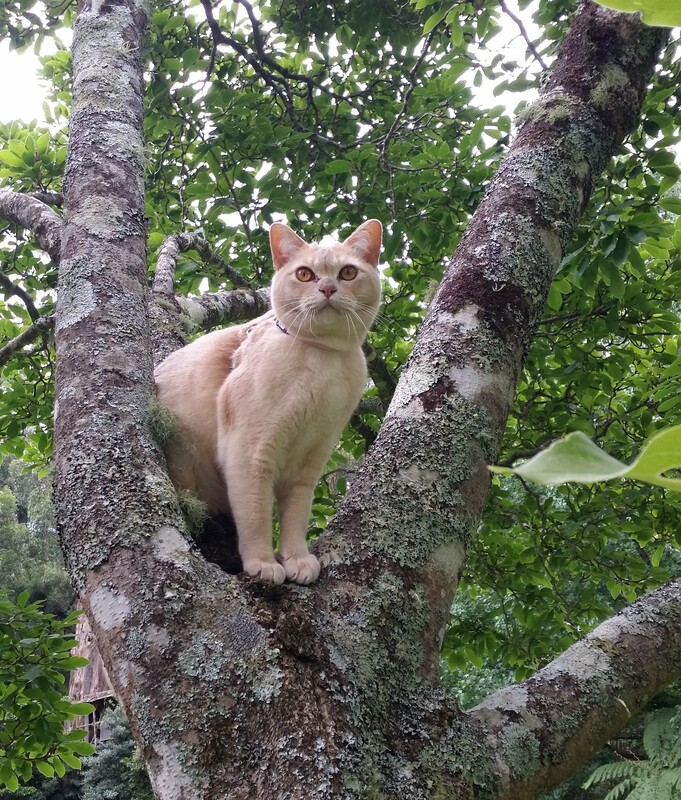 He was essentially Twitchet the talking cat from the Diamond Peak Series, and there are many funny videos of him on my Tahlia Newland You Tube channel. Unfortunately George died of a snake bite when he was only 2 years old. I was devastated! My present kitties are Smokey Loki and Mani Moon, and their cat enclosure is much more secure than the one George escaped from. All material on this website is under copyright to Tahlia Newland and cannot be shared without written permission. Written a book? Need some help reviewing and revising it? Download my Novel Revision Checklist to make sure you don't miss anything.